There was a lot made of by the CBS broadcast crew Saturday when Alabama freshman LaMichael Fanning picked up running back Russell Hansbrough of Missouri and dumped him on the ground. 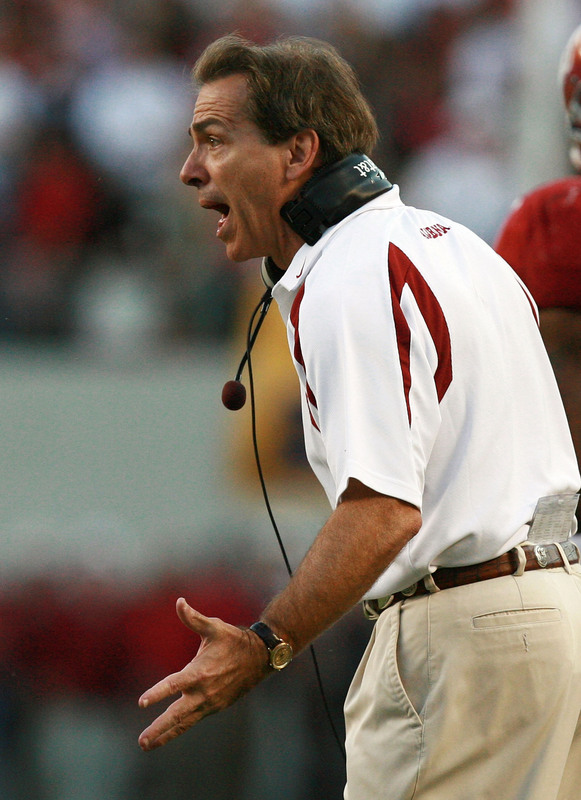 According to reports, Saban made Fanning write letters to Missouri head coach Gary Pinkel and Hansbrough to apologize-Saban also called Pinkel personally to apologize. I personally didn’t think the play was that bad, but then again I’m not Coach Saban. In case you missed the play, here is a link to the video and you decide for yourself if the punishment fit the crime.